This challenge is for those who scrap slowly and need encouragement to keep scrapping all month or those who want a little encouragement to continue scrapping. It is great for those new to Challenges and is a fun place to come chat with other Pokey scrappers. 1. Post a layout each week, or four layouts per month. These can be posted in the thread or in the gallery. If you post in the gallery, be sure to come to the thread and tell us you posted and tell us the name of the layout so we can find it. You can copy the URL from the gallery and paste it directly into your thread for a link. 2. 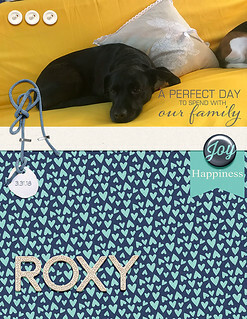 This challenge can be combined with any other challenges and can be paper, digital or hybrid scrapping. 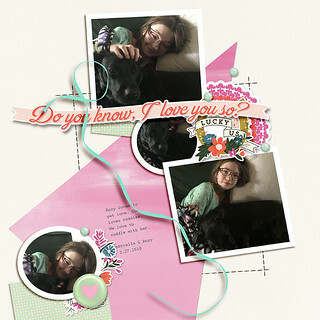 These can be cards, layouts or altered items or any other creative projects. 3. Please comment on the work of others on the thread as your time allows. We all love comments on our layouts. 4. Have fun with this! This should be a "no pressure" challenge. Just post what you finish whether it is one layout or more than four. Come chat with the group as time permits. We love to welcome new members . There are no prizes for this challenge, just a chance to enjoy the works of other Pokey Peas Refugees. Happy New Year Pokeys! I hope we all have a great scrappy year! Happy New Year, lovely ladies! I drove home today (about 6 hours driving + a few hours in Edmonton mid trip). The trip was pretty relaxing, really: no major events or adventures, mostly just hanging out with the kids and grandkids. But I am pretty tired tonight. Hoping everyone had a wonderful holiday whether they stayed at home or travelled to see people &/or have adventures. LisaDV, I hope your house hunting trip goes well, and that you enjoy your late Christmas celebrations with family. woodysbetty, I hope you are settling in well in Florida. And I hope 2019 finds everyone healthy and happy. Once I have brought in stuff from my vehicle in the morning, I hope to start sorting the photos I printed. Because December got away on me, I still have quite a batch of photos from November to scrap, plus all the photos taken over Christmas and during my road trip this past week. Looking forward to taking on some of the January challenges to get me going on getting some serious scrapping done this month. Thanks for setting up the new thread, nylene. I will pin the January challenges tomorrow when I have had some sleep in my own bed. Hi Pokeys, I'm hoping to still be scrapping at least a little bit over the next couple of months even though life is a little more hectic than it used to be. My DD with the health issues is trying to push herself harder, so we decided we're joining a gym for the cold weather months. Here's hoping 2019 is kind to all of us! Good morning scrappy friends! Happy 2019! We are having lots of company this week before we head out of town on Friday. We had a friend over for dinner last night and have 2 of Mallory's roommates from college staying for a couple of days, then my sister and nephew will be here to spend the night tomorrow night. We fly out on Friday morning for Orlando to go to my assistant's wedding in Orlando. We are making our kids jealous and are going to Universal Studios without them. I think I'm going to try to do OLW this year, I haven't done it in a few years, but thought it might be a good year for me to try it. I know that I'm headed into a challenging year at work, so trying to maintain a little bit of focus and a tiny bit of me time might be a good thing. Nylene, I've never figured out how to post things here. Do I have to put them in flickr or can I post a link from another site like scrapbook.com? shinyhappytina , I link from the gallery and you know how computer-challenged I am. I am sure someone on the thread can give you an answer about posting. I know you can have a private Flickr account and post here on this thread, but they don't show up then in the gallery and only those on the thread can see them. grammadee , so glad you got home safely. I would be so tired after that long drive! I am hoping you can help Tina with her questions about posting. I look forward to the Team Challenges again this month. It sounds like you had a great time with the grands. What a blessing grandchildren are. shinyhappytina, if you decide to share through Flickr, I can help you with that. I think LisaDV can walk you through sharing from another site. Some peas share from their facebook pages, but I can't help you with that. My mind is still a bit stodgy this morning, but I decided to create what was supposed to be a quick page. It would have been quick on another day, but it seemed to take a l-o-n-g time this morning. This is for NEXT year's calendar. Reminds me that I have to put THIS year's calendar pages into the flip album frame I have on the kitchen counter. Off to do that now. grammadee , I love that page. I especially love those antique buttons tied on. I look forward to seeing all the buttons you use this month. You have love in the gallery. Thanks for the offer to help shinyhappytina . Happy New Years Ladies! 2019 is here and I am wishing you all a wonderful year filled with good health, peace and joy. We had a quite New Years Eve and Day. Dh is back to work today and we are back to normal. nylene - Thanks for the new thread and keeping us going. Good to hear you are feeling better. Wishing you and your dh much joy this year. Last year was tough! But you both are "tough cookies." LOL! grammadee - What a drive and trip you had. I know you are glad to be back home and resting after a long trip. Oh, can you help me with posting a Flickr picture here or is there a how to here on Refugees? I copied bbc link from Flicker, selected "image" link here on the post, pasted the link and named it. Then when I hit "create post" I just wee the code. Help! LOL! Waving hello to you all and have a great rest of the week. Hey Kelly, if you have selected B.B. code for your Flickr address just copy and paste it into your message pane. No need to use the image link here. It will show up as an address, but when you hit create post, it should show up as an image. Thanks for the new thread, nylene . I've been super busy today with preparing to leave tomorrow. I have 30 houses that I want to see on Friday, hopefully we can get through them. I still got 2 layouts scrapped though. Hurray! I've already set aside Monday after we get home and all day next Tuesday for scrapbooking. Is it wrong that I already want to be back home so I can create??!! shinyhappytina , if you take a photo of your layout on your smartphone and use the tapatalk app for the forums, all you have to do is add it like a normal photo to a text message. Super easy. However, you will only get comments in the threads and not in any gallery. Works great for traditional pages, not so well for digital. If you have a BB code with thumbnail from any other site, just copy it and paste in the reply window. Just like for the flickr gallery. woodysbetty, you should be leaving tomorrow. Exciting! Just know I'm thinking of you and sending positive thoughts and prayers for a safe trip. grammadee, that page is amazing! I love the buttons, the clock, the doily and that shimmery foil? layer. msliz, how is your dd doing with pushing herself? She's been doing this through the fall too, as I recall. Is she showing any improvement in endurance? OK, I need to get off and see about finishing up some stuff because unfortunately I don't have a magic wand or genie in a lamp. Thank you ladies! I'll get the tapatalk app, that seems super easy. Gramadee - your LO is very pretty! The layering and colors are beautiful! kellyr21, I thought of you as I watched the Rose Parade. Did you watch? I didn't see it all, but it looked pretty chilly down there. Have you had cold temps? I'm glad grammadee could help you with posting. I wish I were more knowledgeable. Glad you had a nice New Year's Day. We had 3 people come to our Addiction meeting on New Years Day (evening). It makes it worth venturing out in the cold when people are there and are helped. Waving to each of our Pokeys. Will post again tomorrow. Maybe you will be so fortunate! Grammadee, I love that layout too. Great colors and I like your idea of using a button on every layout. I'd like to think of something I could do like that also. Thank you for all you do to help us. Shinyhappytina have a great trip ! And woodsybetty, hope your move goes well. I know it's a lot of work! Kellyr21, happy new year to you also. Do you have your pretty new decor back to its pre Christmas splendor? Exchanging all those little bits and pieces for different ones can be a chore! Mine are greatly reduced now because 2 bookcases are moved to make room for a piano. It was a gift from a friend who is moving and didn't want to take it. Dh has done a lot of repair work on it and it looks great and sounds good after getting it tuned. It is art deco style, made in the 1940s. I have not had a piano in several years, (took it to the grands when they started lessons) .I've been using a keyboard but it's not the same! I'm really enjoying it and practicing every day. I'm learning, "Jesu, joy of Mans desiring". I want to participate in a family ensemble next time we have a family reunion. I think Several of my grands will enjoy doing that. We normally have recitals at our reunions but hoping more adults will participate if I do. I've told everyone to start working on Jesu for the ensemble. Nylene, i think those people who braved the weather must have been helped a lot, just by their great efforts to stay sober and having you and your dh care about them. Kudos to you for your work with them. We hope you stay healthy this year! Here's my piano, Nylene! Happy New Year Everyone. Here is some of what you would see if you came to my Holiday Home. I have already begun to take it down, but it will take a while. elaynef , your piano sounds wonderful. We gave ours to DD when the grands started piano lessons. Neither DH or I play, but I miss it when the family gathers and we could sing together. Congrats on getting to play again. I'd love to see a photo of it. I'm sure you will enjoy it with and without family around. Wish I had learned to play. We just never had a piano until after I had left home. maribeth , your photos are breathtaking. You have beautiful decorating skills. I love the way you have done your village. You have given me ideas for setting mine up next year. Your decorated packages are so beautiful. Did you make your wooden MERRY CHRISTMAS? Dh loves cutting out letters like that. Do you know what the font is. I like it better than what he has been cutting. I had to giggle at the Christmas tree in the bathroom. What a beautiful place to sit and "contemplate" the season. LOL Thank you so much for sharing. I love it all. woodysbetty , check in when you get settled. I hope things are going well. Here is a page I did to add to My History Project. I try to decorate each story with scrap supplies, but I don't usually do this much. Little by little I am writing up the little memories of my childhood. Maribeth, your Christmas decor is fabulous....I know that was a lot of work! grammadee- OMG! I totally was lost with posting a picture. I think it had been so long since I last did it, I forgot. LOL! Thanks! Here is the picture I was trying to post of all my Pokey Peas cards on my bookcase. Still up and giving out living room lots of joy. nylene- Yes, I saw some of the parade. Our City of Downey float was so cool. It was a 1950's theme diner and sock hop. It has been chilly and that morning of the parade must of been cool for those parade watchers. They brought the float back to town and I hope to go see it tonight or tomorrow. elaynef- What a great new piano. I know you will enjoy playing it. I was taking guitar lessons but stopped. Maybe this year, I will pick it up again. My wrist are sort of tender so we will see. We go our Christmas décor up later than normal, so I might keep them up a little longer. maribeth- Wow! What fun décor you had for Christmas. I never through of adding décor throughout my home. But when we move, maybe I will have more décor too. So pretty! Waving hello to you all! nylene - love your history project idea, I have a similar project going as well. I am doing mine using Pocket Style Pages with a combination of the writing and then photos or found images to assist in my storytelling. The bathroom does get a lot of giggles. No the Merry Christmas was purchased, we are not that talented here at our house - LOL. kellyr21 - I had my cards on a shelf as well, they do bring so much Joy don't they? @ealaynef - Yes it is a lot of work. Too much actually. We did nothing last year and everyone was so sad, special request from grand daughter to put up the decorations again so we did. Love your holiday house, maribeth. Glad you got to create it again this year, and that you shared the photos with us. A local mom was telling me before the holiday that her dh had planned not to put up Christmas lights this year--they had won the local competition for outdoor Christmas lights last year--and their 4 year old said, "But Daddy, it HAS to be Christmas!" A couple of evenings after she told me this, we drove by their place, and it definitely WAS Christmas! (The prize committee likes to spread the accolades around, so this year that family got an honorable mention, but that yard was HAPPENIN'! Glad you got your photo to link, kellyr21. I love all my Pokey cards. I want to do a scrapbook page with them sometime this month. Great to see the Pokeys participating in the January Team challenges. And nylene and elaynef, you have been fast off the starting block. Love to see msliz's and justjac's challenges in there. Looking forward to seeing what everyone creates. And anyone else who did NOT sign up for a team is welcome to take on the challenges, too. You just wouldn't earn any points for them. 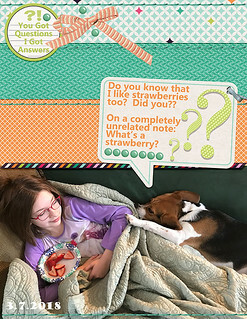 But you could certainly share what you create in the Pokey thread. Hope your house hunting trip goes well, LisaDV. Our dd's realtor told her that if she was seeing more than 3 houses in a day she needed to take photos and make notes for each house b/c no one can remember more than 3 places and keep all the details straight. And I hope you have a wonderful family Christmas celebration this weekend. Dh feels a little cheated that I don't go all out for Ukrainian Christmas (Eve is on Sunday and Day is on Monday). I have completed 3 pages so far. Need to photograph the 3rd one when we get some light. 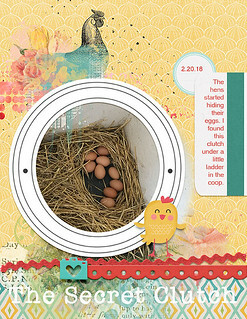 I have a 4th page on my scrap counter, but I don't like the photo. I printed at Costco, and they allow for very little editing at the kiosk, so I think I will need to reprint this one. Might do that today. I need to go into town and pay bills, and if the local photo place has an invoice ready for framing our family pic's, I will drive there and pay the invoice, print a few pic's I received New Year's Day, and reprint the one for this page. Not looking forward to this weekend. Dh has collected all the supplies (I think) to hang the family photos, and since there are a number of other items that need to be hung (plus some he wants to rearrange), he plans to be getting things on the wall over the next few days. Since he is a perfectionist, each item takes a long time. And he seems to need my input on every little detail, so when he is working on a project like this, I can not plan to think about anything else. I DO look forward to seeing the family photos on the wall! Have a fantastic Friday, Pokeys! justlisa7 I hope you are enjoying the last few days with your daughter. Yes thank goodness for facetime! When we moved away from our families years ago my would say it gave her somewhere fun to go on vacation every year and Hawaii will be a fun vacation spot! It' hard though. shinyhappytina I want to see Aquaman, it's on my list! I haven't gone because I heard it had mixed reviews but most I've seen are good and I love Jason Mamao so that helps! Working puzzles has been something I've been thinking about a lot lately but I haven't seen one that caught my eye yet. But sloths doing yoga sound hilarious and like something I would enjoy. I did get Rudy several puzzles for Christmas to scratch my puzzle itch lol. We haven't worked any of them yet, but maybe this weekend. I moved back to Missouri from Indiana a few years ago. I was in South Bend. It sounds like you must be in the southern part of the state since I know my coworkers were complaining about all the snow back in November lol. LisaDV I'm glad you are feeling better! Having a cold is just the worst in my book. I always have a nagging cough that hangs on for weeks afterward which just drives me nuts. That's funny that Don would walk your DS down the wall like that. Mine did the same with Bub! He wanted me to do that, but I can't lift him like that. The joys of getting older I love it that you moved your computer into the living room. I have finally found some TV shows I really like and used to spend a lot of time crafting while watching TV. I keep thinking about doing that again, but the moving stuff is stopping me as far as trying to scrap anyway. I should be using that TV time to knit! Your birthday sounds fun I'm glad you had a good time and not getting out in time just added to the fun I'll bet! joyfulnana, you are dedicated to post on Dec. AND Jan thread! Sorry you had to cut and paste. We are glad you found us. How is your knitting going? I do most of my crafting with the TV on too. I don't usually really watch, but listen to it. My son gave me a little TV that had been sitting in their garage for a while. It's an "oldie" with the VCR built in. When I can't find anything on TV, I pull out our old videos to watch. Mostly "chick flicks" like While You Were Sleeping and You've Got Mail. grammadee, you must be back to your normal busy. You have made some beautiful family layouts. I hope to get some of those done this month. I had to chuckle at your DH needing you to check everything when hanging photos. At least you know he really needs you! I am finding I am invaluable to my DH, but he will drop a screw or tool in the shop and search an hour before he calls me to come look. Little by little he's learning that it's much less frustrating if he calls me when he realizes he can't see it. I am learning that I can't move things around much or he won't see them. I moved some Christmas candies to the back of the counter and he thought they had been eaten. He suggests I "leave things where a blind man can find them!" We are getting used to this together. He's really good-natured about it. LisaDV, I hope the house hunting is going well. maribeth, I am glad you are doing a History project too. I'd love to see it. Mine is going slowly, but I am surprised at how many things I've never told my children. I have only a couple of photos of my childhood, so I am just writing the stories. you enter the house. I love looking at them over and over. Thanks for sharing. elaynef, it's fun seeing the pages you have finished this month. If you post those 4 here, you can count a point for the Pokey Pea challenge. It looks like LisaDV and I are one one team and grammadee, patin, justlisa7, elaynef, justjac, and joyfulnana and msliz, are all on the other team. We will have to scrap overtime to keep up with all of you! Waving to knutschen and woodysbetty. I hope things are going well with working and moving. Hi everyone one...just got into our rental in the Villages and got internet access..furniture gets here Tuesday so we are sitting on the floor and sleeping on a blowup mattress which is surprisingly comfortable... We are starting to look at lots to build on and I am a bit weary...I miss my scrap stuff and playing along with everyone so this is harder than I expected. Weird how no furniture is okay but no scrapping and Peas isn’t! Anyway I am so much better when I have access to my computer rather than just my phone to read and comment...so I am looking forward to Tuesday! I appreciate all the check ins and look forward to playing again... Moving is clearly not for sissies!! Hugs to all! I hope everyone had a Happy New Year! I worked on New Years Day but made sure to eat my Black Eyed Peas! I am currently hanging out with my youngest niece at the coffee shop. I am feeling tired today since I didn't get good sleep last night. I go back to work on Monday. 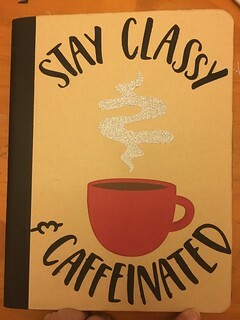 I finally got to upload my altered composition books into flickr and going to try to post them here. woodysbetty, I empathize with your move. Moving isn't for sissies. We moved 8 times before we built this house. I am hoping we never leave it. Best wishes to you as your furniture arrives. A few hours of scrapping will be good therapy, I'm sure. knutschen, your composition notebooks are wonderful. I love the die cuts you added to the front. What kind of adhesive did you use to add the background paper to the comp. book? I'm sure the recipients were thrilled with the individuality of the covers. 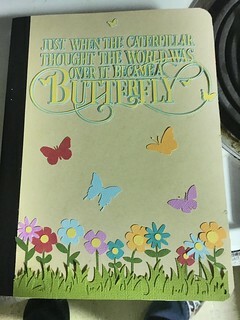 That butterfly quote is so intricate. Great gifts. I am hoping to get a little scrapping done today. I need to get some cards made for Card Club next week. elaynef , I love the new set up with the piano. It looks really good. maribeth , I was missing your Holiday home photos in December. So amazing! nylene , your page is beautiful. Flickr is acting up on my computer this morning, so I couldn't read. I hope to later. 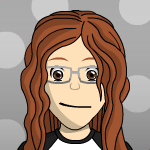 kellyr21 , love your decorated bookshelf and cards. grammadee , how did picture hanging go? Luckily for me, my DH has DS now for all of his projects. Yes, I always take copious notes on each house. The realtor gives you a sheet with the house photo and data, that's where I do my note taking. joyfulnana , I could have (14-16) years ago lifted ds to let him walk the wall, but I'm short (5'3") and it wasn't that fun for him so he'd get bored of me doing it after 3-4 times. A benefit for being short, I guess. I could not do that now. I hadn't looked. Yes, we'll have to up our game!! Weird how no furniture is okay but no scrapping and Peas isn’t! Anyway I am so much better when I have access to my computer rather than just my phone to read and comment...so I am looking forward to Tuesday! I appreciate all the check ins and look forward to playing again... Moving is clearly not for sissies!! Hugs to all! I'm glad you are there safe and sound. I, too, could go without most of my furniture. We moved into a rental while house hunting in Ohio, we had air mattresses for sleeping on, a folding table and chairs, a few games and books, my computer and one comfy chair. We were perfectly happy. However, I went out and bought markers and a drawing pad. 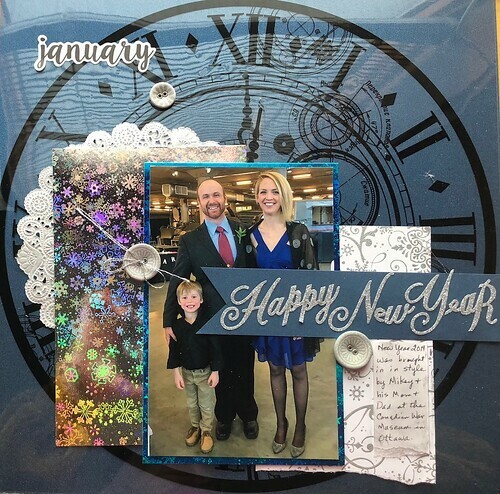 I had to have something creative besides just the digital scrapbooking which I can only do so long unless I have something tactile crafty to do too. Also, Moving Is Definitely NOT For Sissies!! knutschen, your comp books are fabulous. I really like the garden one. 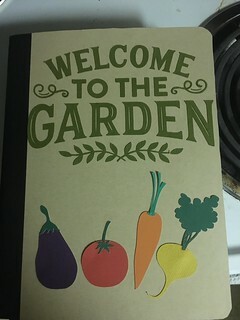 Maybe I wouldn't keep losing my gardening book if I decorated it like that. We are close to being 2 home owners again. I'm a bit freaked out. We had final negotiations on Monday. The inspection happened last night. It's A LOT of house. We called it the wallpaper house. EVERY room has wallpaper, mostly dated. Only a few have just a small border that you could deal with. And the nicotine smell and staining will require some major elbow grease. We figure as we take the wallpaper down, we'll use kilz first. It'll need new flooring as well. But some areas can be lived with for a good while, others like carpet in the bathrooms, can NOT. The kids and I came home Monday. We did a little work but mostly just became couch potatoes. Yesterday I hoped to get to scrapping, but ended up with house buying chores in between some creative time. I did get a few simple layouts complete while I was away. I find it much harder to use the laptop than my desktop. My desktop has a larger screen and I find my eyes don't see the small screen the same. Also I have a program on my desktop that makes searching for digital items easier so I was very happy to have my desktop yesterday. I will come back to share layouts. I have quite a few. I have 11 logged in my team point spreadsheet, including the one posted above, but have several that didn't make it on yet. I will try to only post a few at at time. I tried leaving love in the gallery but flikr is down at the moment. More catching up to do lol. I'm sensing a theme or this year. I'm not sure I like it! grammadee it's always good to be home isn't it? My walls are filled with family photos and various photos I've taken and I hate the hanging them up part, but I love it when it's all done. The biggest wall of photos was done out of necessity. I had several frame photos on a table that for some reason I thought Rudy would leave alone when he was a baby, or I could put up and take out each time he was here. Ha! Right lol. They are all on the wall now lol. You have been as busy as ever! kellyr21 love the photo! 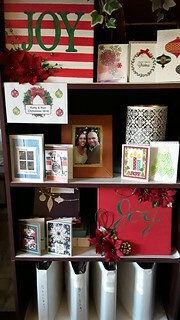 I loved the card exchange so much that I'm thinking of joining on the BIG one next year. And definitely going to make my cards for the pokey's this year. And we have football here this weekend! I'm starting to feel like I'm wanting to follow again, although I always forget to watch. I don't expect the Chiefs to win, they never do, and things haven't been great since they had to let Hunt go - which was the absolutely right decision, but it isn't giving me much hope for a playoff win. It would be pretty cool if they played the Rams in the Superbowl though! nylene I'm glad Steve is keeping a good humor about his eye sight and I'm so sorry about it too. 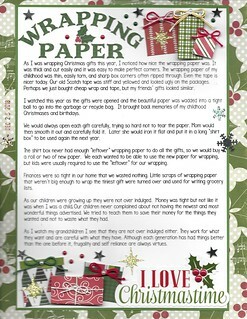 I love your wrapping paper page with no photos. I recently saw another page with no photos and I think something like that will be good for stories of my childhood. To let the paper tell the story for me. My knitting hasn't started yet. I'm not even sure where my time has gone lately but it hasn't been to crafting! I feel like I'm still trying to recover from the holidays. knutschen those composition books are awesome! 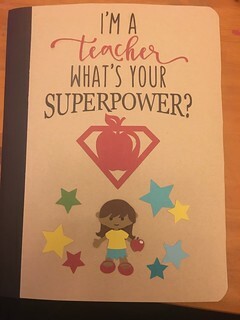 Love the superpower one! I never attempted those. maribeth your decor is beautiful! I had to chuckle at the bathroom, but it looks fabulous! And I love those packages on the walls! msliz I hope the gym goes well for you and for your DD and she gets the hoped for outcome. I know I wouldn't use a gym membership, so I'm trying to fit in more working out at home this year. Last week it was pretty easy, this week has been hectic so it's gone by the wayside which seems to always happen. I'm trying not to get derailed tooo far off track though. woodysbetty glad to hear you are moved and waiting to get settled! I'm the same way - I only miss my internet and scrap supplies the rest can wait lol. I have done zero crafting this month. Nothing. For one my room is a disaster. I have too much stuff for the space so I'm hoping a lot of scrapping this year will help alleviate that. But it won't if I don't get started! lol. I did try to finish a layout over the weekend, but my photos have got to be organized first, so I've been working on that a few minutes here and there as I have the time. I have a lot of projects on my creative To Do list this year so I need to get cracking! I thought about OLW but it probably won't happen with everything else I want to get done. I also need to check in on the challenge thread and see all the lovely's that I know are being shared there. I haven't even properly looked at the challenges. Yep, lots of catching up to do! I hope everyone is having a wonderful week!! Good Wednesday morning, Pokeys! Another chilly one out here at the farm, but it did warm up a bit overnight. Dh's weather app's (yes, he has more than one) are predicting snow over the next few days. Dh has a cold, so not looking forward to having to go outside and clear a path through the white stuff if it arrives on schedule. We have the two big framed collages hung in our living room. It was easier that dh thought it would be, because the frames have a new hanger system, and I was able to quickly calculate where the nails had to go into the wall, using the measurements from the hangers. Now he has ordered a few more of those hangers from Amazon to use on some other things he wants to hang. Good to hear from you joyfulnana . Hope you can get crafty soon. I find it hard to get started after taking even a short break, but once I am crafting every day the pages seems to come together much more easily. I noticed that Flickr was down for quite awhile this morning too, but it seems to be working now, so I will upload my morning's pages. LisaDV , you amaze me with your willingness to take on yet another home that "needs a little work". You must enjoy the reno process. I hate it, so if they ever drag me kicking and screaming out of this home, it had better be to a place that is ready-to-move-into! The nicotine smell would bother me, but I am thinking that once you pull out the carpets, the smell will exit with them. And you amaze me that you can house hunt and create digi pages at the same time! Can't wait to see your pages. Sounds like you will be keeping YOUR team hopping! Don't think nylene needs to worry if you can create 14 pages while house hunting! It is sad about your dh's loss of sight, nylene , but wonderful that he has such a positive attitude about it. Hope you share your card club cards with us. Would love to see them. Hope you are beginning to get settled in, woodysbetty . That air mattress may be surprisingly comfortable, but I'll bet you will be delighted to have your own bed back again! And I hope you get some time to play with your craft supplies sometime soon. 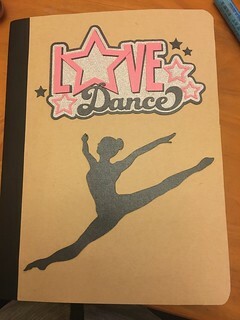 I left love for one of your notebook covers in the Gallery, knutschen . I hope to get back there to leave love for the others. What wonderful gifts! Hoping everyone else is enjoying the beginning of the new year. Thinking of you, justjac and maribeth as you head into a new year of work. Hoping that you are doing okay with your dd's hubby's deployment, justlisa7 . My dd has been across the country for a year and a half and we have been able to stay in touch by phone and face time and a few visits, but it takes some getting used to after being just a short drive apart. Okay, off to photograph and post my pages! grammadee, I think I actually get more time to create when I'm away from home as there is always something else that really could use my attention, when I'm gone so is quite a bit of that responsibility. If I had my desktop or a larger screen and a supply organizer I could have really made a dent. 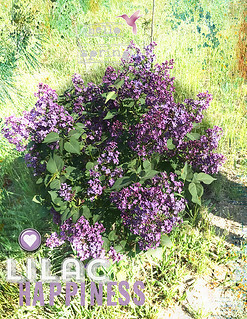 Lilacs and calla lilies are my favorite flowers. I always try to plant them at every house we have. It's very hard to get a good photo of a black dog.